Creatures Professional Pet Care, LLC agrees to provide the services stated in this contract in a reliable and trustworthy manner. In consideration of these services, and as an express condition thereof, the client expressly waives any and all claims against Creatures Professional Pet Care, LLC, and its owner, unless arising from negligence on the part of Creatures Professional Pet Care LLC. 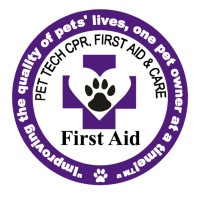 Creatures Professional Pet Care, LLC is not responsible for actions of destination facility and shall not be held responsible for the loss, injury, death, or actions of any pet while not in the care of Creatures Professional Pet Care, LLC. We always do our very best to keep your appointment time; however, due to the nature of the service, there may be times when we are behind schedule, because of an extended previous visit. We will notify the facility if this should occur. If we are unable to agree on a new appointment time with destination facility, we will notify the client. PLEASE NOTE: Full payment is due on or before the date of service. We accept payment in the following forms: cash, check, major creidt cards, Paypal (to [email protected]) Facebook messenger and Venmo (@CreaturesPetCare). Cancellations must be received 24 hours prior to scheduled service or the cost of that scheduled service will be billed to client. Creatures Professional Pet Care, LLC reserves the right to deny service or terminate service. Must be received 24 hours prior to scheduled service or the cost of that scheduled service will be billed to client. The client understands that all animals transported must have a veterinarian, and according to law, dogs must be up-to-date on their rabies vaccination. Please speak to your veterinarian regarding other vaccinations recommended for your pet's protection. Creatures Professional Pet Care, LLC does not accept aggressive animals. All pets transported must be secured, either by riding in a pet carrier/crate, or by being clipped to a seatbelt tether. In order for a dog to ride seat belted, they must be wearing a harness. Seatbelt tethers will not be clipped to a dog's collar, for safety reasons. Client is responsible for making arrangements with, appointment with, and payment to other pet care professionals the pet(s) will be transported to or from (such as veterinarian, groomer, boarding facility, etc). 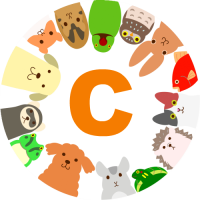 Creatures Professional Pet Care, LLC is not responsible for any fees due to other pet care professionals that the client is doing business with.